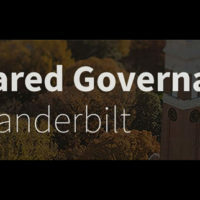 Building on strong existing relationships, the Shared Governance Committee recommends that Vanderbilt University expand the partnership between the administration and faculty, with particular attention paid to enriched communication and broadened faculty involvement. Zeppos announced the committee in fall 2016. The group’s charge was to assess the university’s current state of shared governance, explore best practices, and consider enhancements and improvements to further engage faculty voices in university initiatives. The committee was co-chaired by Cornelius Vanderbilt Professor of Sociology Holly McCammon and Anne Marie and Thomas B. Walker Jr. 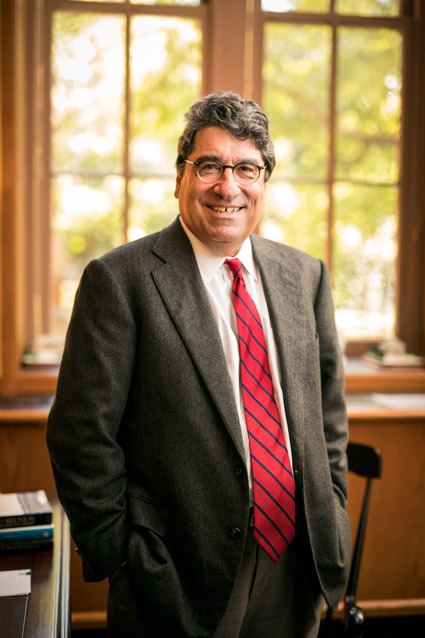 Professor of Accounting Richard Willis. The group employed campuswide conversations, town halls, the 2016 COACHE survey, and peer-school comparisons in developing its 118-page report. develop a shared governance website that would both educate stakeholders about shared governance and provide opportunities for enhanced involvement. adopt a three-step decision-making process that includes early-stage discussions, a transparent process and follow-up reporting, noting that the free flow of information is essential to collaborative and constructive feedback and decision-making. improve the effectiveness of Vanderbilt faculty committee work overall by sharing best practices, recruiting a broader base of faculty to serve, and providing training to participating faculty. align shared governance efforts to support the Faculty Senate as the governing body of the faculty.